With an increase in their rate of urbanization, many low- to middle-income countries are feeling additional demand for services, amenities and infrastructure. To address this, several cities have followed unorganized development practices (like building bigger and faster), only to meet additional challenges down the road—displacement, uncontrolled migration, greater traffic, higher land prices, insufficient affordable housing and more. Transit-oriented development (TOD)—a strategy for creating walkable, compact urban areas with a mix of uses around transit systems—can avoid many of these negative effects and bring economic, cultural and societal benefits to the residents of these expanding cities. 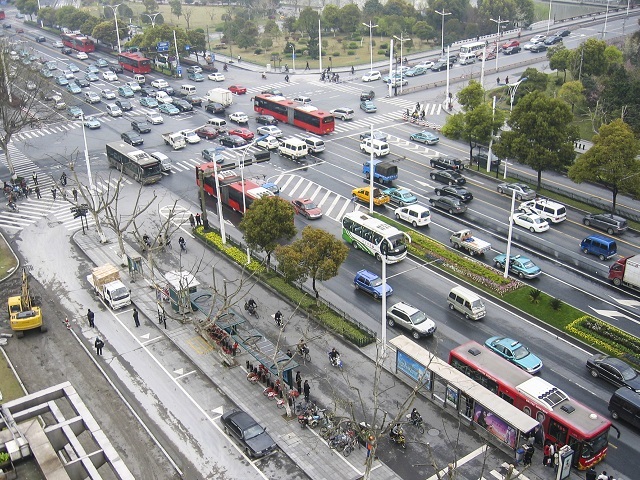 However, TOD requires an integrated approach to project implementation at all levels of the planning process, and this can be a challenge for cities worldwide. Decision makers must familiarize themselves with the supporting mechanisms to enable TOD if they are to effectively implement this development strategy, but few resources and tools exist at a global level for building capacity and knowledge. So how do we overcome these barriers, and what’s needed to take them to scale? Without an extensive knowledge base, TOD remains vulnerable to three reoccurring implementation challenges: coordinated planning, regulatory frameworks and project funding. First, a lack of coordination between land and transportation planners has historically prevented an integrated planning approach to land, transportation and economic development. This disconnect has led to lost time, increased infrastructure costs, poor health and the loss of public space. For example, in Warsaw, Poland a demand for housing was not paired with the creation of a transportation network. The result was resident dependence on private vehicles and increased congestion on available road networks. To achieve TOD, participating agencies must set clear objectives for growth, ensuring project momentum through political transitions and between development departments while securing citizen support. Second, an absence of supportive TOD policies in cities has prevented progress by creating isolated areas of development with little foresight for long-term growth. TOD projects require policies that permit high-density and mixed-use developments, often supported by form-based codes that respond quickly to changing economic patterns and space needs. Without local mechanisms in place for land redevelopment, TOD is restricted by national regulations and financial constraints. Lastly, because TOD is a capital-intensive venture, initial funding for large-scale projects is difficult for many cities to secure. By creatively using and combining financing mechanisms, cities like São Paulo, Brazil are able to tap into value capture instruments that produce the highest returns for their communities. These models can also indicate which projects and technologies are the most advantageous, but local decision makers often aren’t familiar with the options available to them. Although the context of a city is always different, many examples of success in TOD have revealed four common lessons for getting it right: the importance of political economy, planning and regulation, finance and implementation. A strong planning and regulatory framework can help address political economy concerns by ensuring that TOD projects are developed and maintained throughout implementation. Once a project has been accepted, a strong planning and regulatory framework can help integrate individual initiatives into the larger vision for the city or region. The success of Curitiba is widely credited to the vision and agency of its former mayor, Jaime Lerner, who supported investment in public transit systems and green city initiatives. Curitiba’s zoning codes and design parameters were readjusted to attract new development while maintaining the integrity of the city at the institutional level. 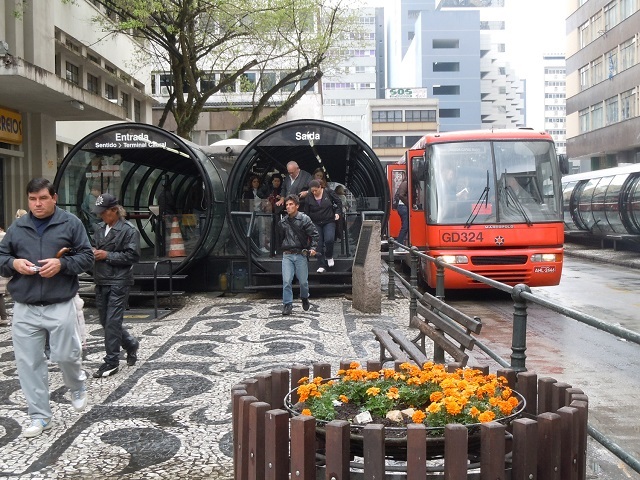 The Curitiba example also provides insight on the coordination, handover and delivery of TOD projects, as the city established a network of agencies to protect the interests of those who interact with the city at every level. The appeal of TOD lies in the distribution of transportation modes and the opportunities that are created for those who use transit in that area. For a project to truly encompass inclusive TOD, there must be provisions that offer affordable housing, grow access to a diverse job base and preserve local culture. Unfortunately, this task can become challenging at the finance and implementation stage. To attract private investors, the public sector must be willing to not only take on initial financing, but also promote incentives for affordable housing preservation and production. For example, Brazil’s Outorga Onerosa do Direito de Construir (OODC) instrument allows developers to build at increased density in exchange for a fee. These funds are then shared with under-developed areas of the city. In São Paulo, for example, between 20 to 30 percent of these funds are then allocated to affordable housing. Another financial innovation includes tying specific funds to TOD by making loans to developers to build affordable housing as part of the larger city plans. Examples here include the Transit Oriented Affordable Housing Fund of San Francisco, the Arlington County (Virginia) Affordable Housing Trust Fund and the Denver (Colorado) Regional Transit Oriented Development Fund. While extensive research has been conducted on TOD in North American and European cities, little knowledge has been compiled on regulatory frameworks and financing mechanisms in the Global South—particularly with an eye to inclusion and equity. For a project to be successful, decision makers need to become familiar with the challenges related to TOD and how they can support each stage of the implementation process. As global urbanization continues, cities will need to meet the mobility, housing, social and economic needs of their residents in a way that is equitable and sustainable. Transit-oriented development can be critical for achieving this, but new tools, information and resources are needed to empower cities to meet the challenge at scale.